We offer cleanroom monitoring solutions to support maintaining your cleanroom and critical environments. The Oxoid Air Sampler is a high specification instrument for monitoring the level of microbial contamination in pharmaceutical, clinical and food environments. Air is aspirated (at a fixed speed for variable times) through small holes in the instrument's head. The resulting laminar air flow is directed onto the surface of an agar plate. At the end of the sampling cycle, the plate is removed and incubated and the visible colonies are then counted for an assessment of the level of contamination. Coriolis µ is an innovative biological air sampler for bio-contamination assessment. Based on a cyclonic technology, combined to a high air flow rate, Coriolis µ offers the most efficient particles collection in 10 minutes. The biological particles such as toxins, virus, bacteria, moulds, pollens, spores are collected and concentrated in a liquid ready to be analysed with microbiological and cellular and molecular biology methods. 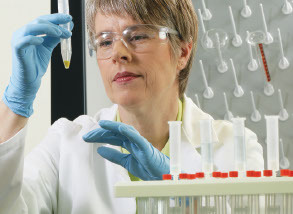 Select Thermo Scientific brand contact and settle plates for cleanroom and isolator confidence. Minimise risk by selecting the most appropriate options for your needs including extra protective barrier layers, enhanced moisture control elements, fully documented media fertility certificates, hygienic polypropylene packaging and insulated shippers to ensure safe transportation to your facility.